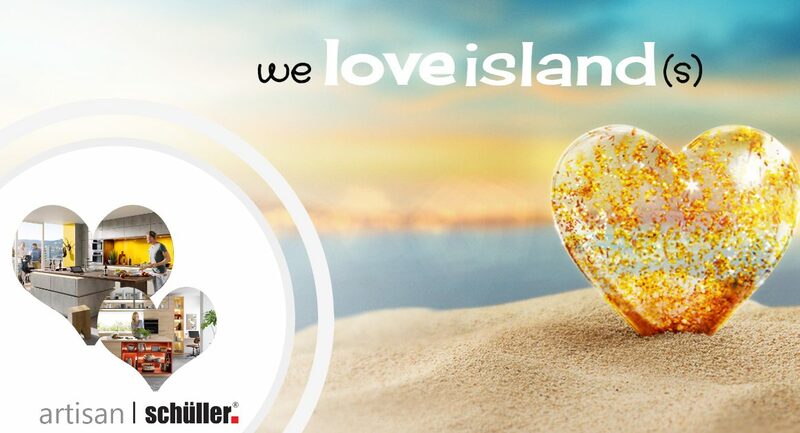 We’re all secretly loving ‘Love Island’…but we actually love islands…of the kitchen variety and there’s a design out there which is so much more than ‘just your type on paper’! In the past, island units were exclusively for the biggest kitchens in the biggest houses and were perhaps more of a statement that you owned a kitchen large enough to house an island rather than it actually being an integral part of the design. 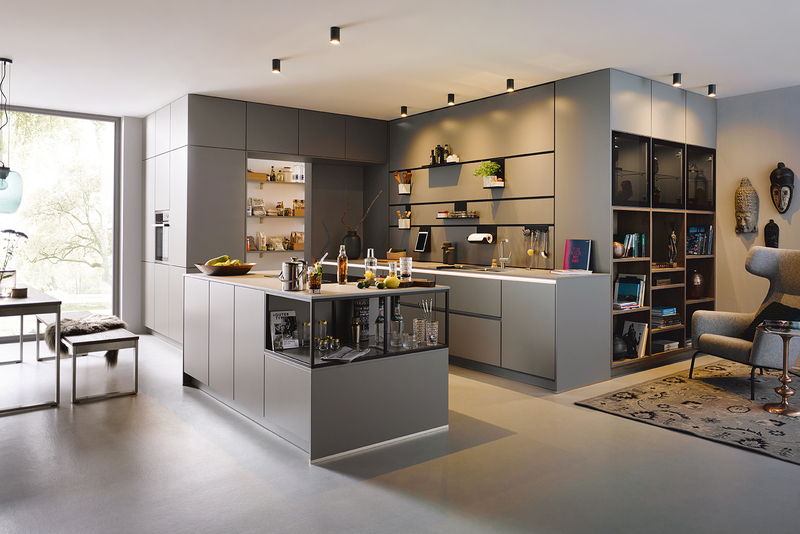 Now, an island unit is so much more…it’s the linchpin of many kitchen designs and creates a centre piece that’s functional, stylish and unites open plan living areas beautifully. 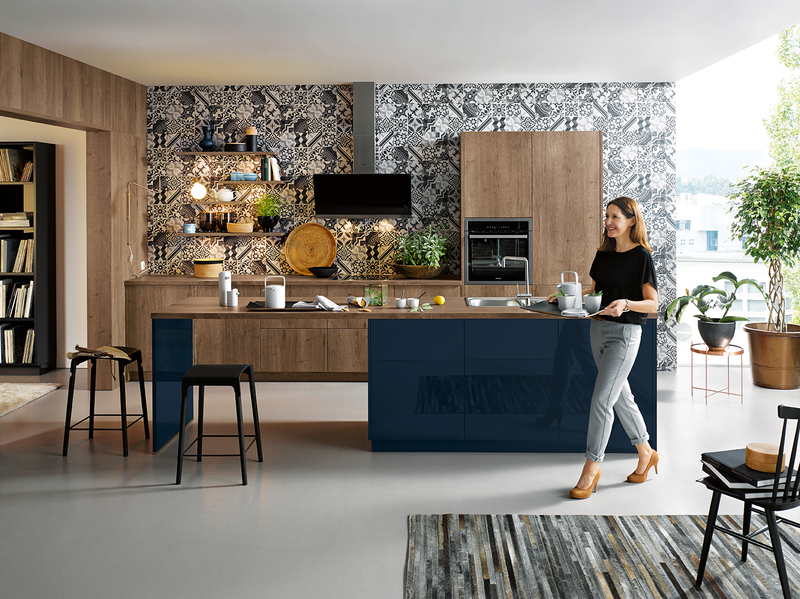 An island unit is a fantastic opportunity to let your (or your kitchen designer’s) creative juices flow and coupling different colours or textures can bring out the best in your kitchen. 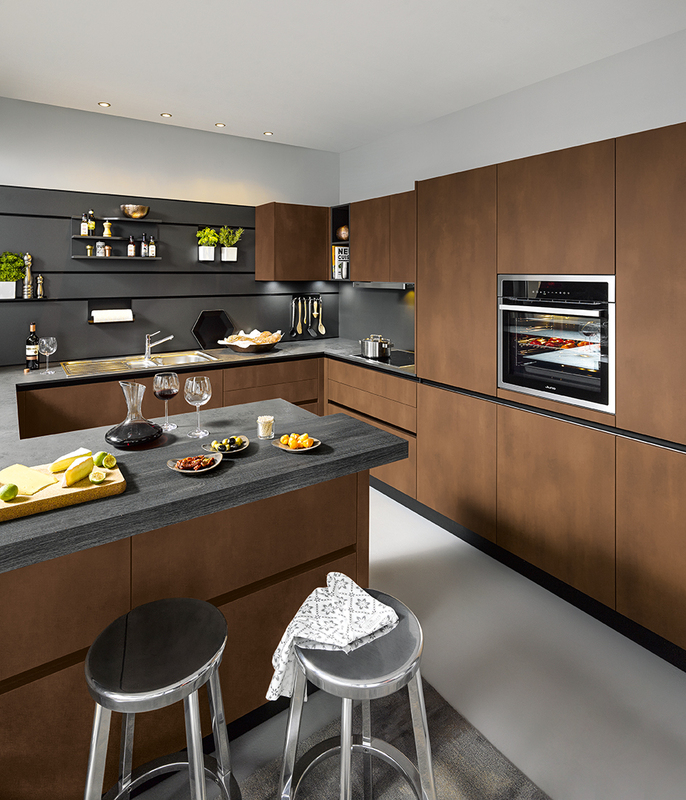 Islands look amazing if you incorporate a mixture of finishes but equally striking is when your island unit is finished one finish and the rest of your kitchen is a contrasting texture or colour. 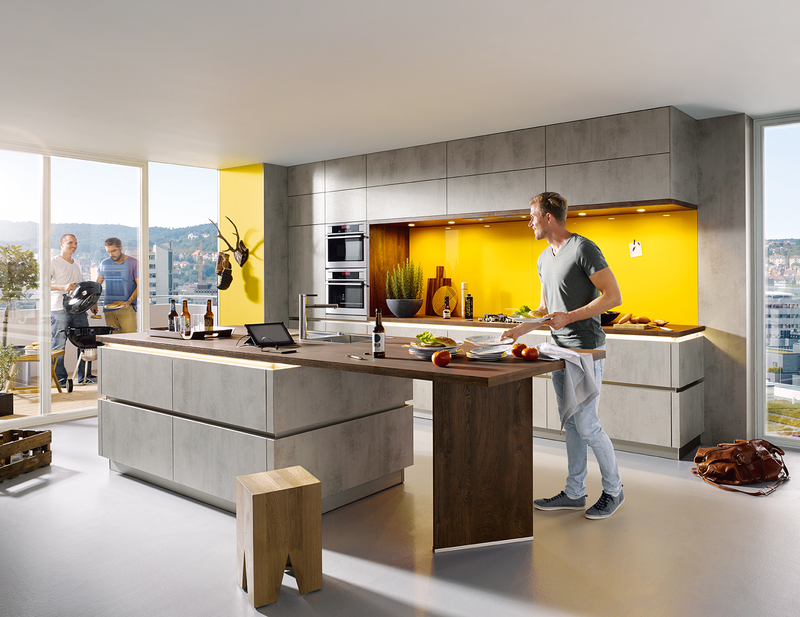 We’ve established that an island unit is the focal point of the kitchen, but it’s essential that it’s multi-functional to complement the life you live and keep things running smoothly in the home. 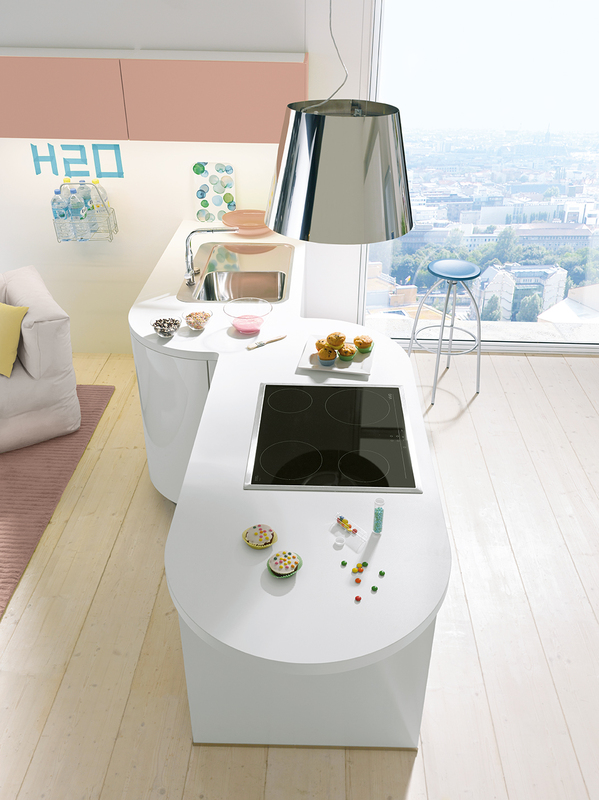 A popular choice is to have your hob in the island so that you’re facing others in the room whilst you’re cooking. It’s also possible for the island to house your sink, either instead of, or as well as, your hob. A good designer will help you think about how you want to use your space and design your kitchen accordingly. 3. Can I have a little chat? An island unit with an overhang of worktop, where bar stools are used for seating, have been popular for a while and offer a practical solution to adding extra seating into the room. They’re great to perch on to chat to the person cooking, for a quick bite to eat and even for the kids to do their homework. Including seating to your island doesn’t have to only mean a couple of bar stools though. A full-size table can be created with a contrasting worktop installed at a right angle to the main island or attached lower down at the short end of the unit, giving you plenty of space for the family meals. Lighting can make or break a room. They’re an important design feature and should never be an afterthought. An island unit is crying out for statement lighting and there’s plenty to choose from. The industrial look and copper coloured pendant lights are particularly popular at the moment. LED lights can be added to the grip ledges in a handle-less island unit or plinth lights can be used to give an impressive glow. If your hob is in your island, you’ll need an extractor above. Because of the trend towards island units, manufacturers have responded and there are some stunning extractors that resemble a designer light fitting and become a centre piece in their own right. When planning your new kitchen with your designer it’s important to think about how you’re ultimately going to use your new island as this will determine how many electric sockets you’ll need and where they’ll need to be situated. 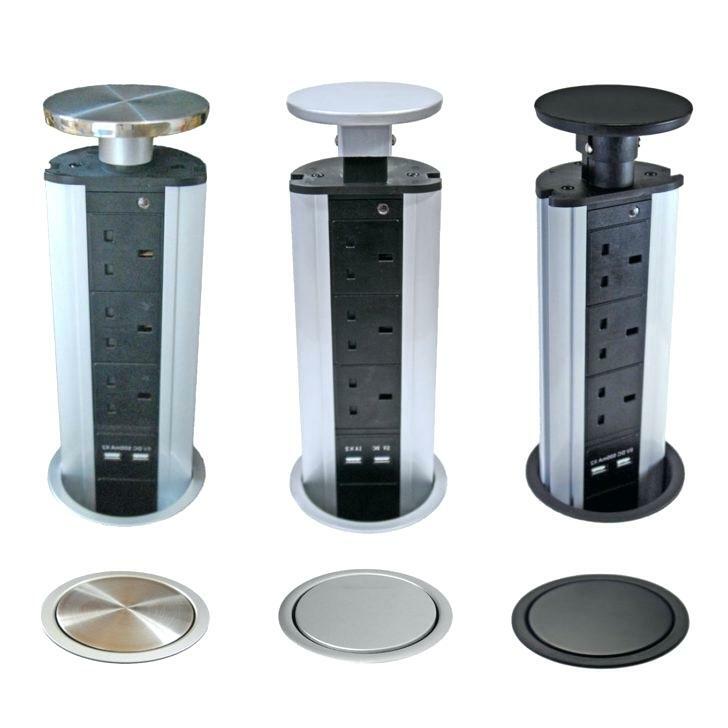 Things have moved on from your bog-standard double sockets though…they’re much more subtle now and types available include pop up sockets, flip over sockets or fascia mounted sockets. Some people can be concerned about an island unit being very exposed with no place to hide and everything being on show. A stylish and practical solution to this is to have raised piece of worktop which offers a little protection from the main working area (which can get messy at times!) The raised level of worktop can be from a matching or contrasting material and looks equally impressive either way. It also gives you extra worktop space and, depending how you want to use it, another space to sit and have your morning coffee. If you’re looking for bespoke and something different to a solid, rectangular island unit, take a look at the cooking table. These, as the name suggests, look like a table but it houses a hob in the same way as an island and, underneath sits a unit to hide electrics and store cooking essentials. They offer simplistic luxury and give a very high-end, designer look to your room. Other variations on the rectangular kitchen island is an L-shaped or S-shaped island. They’re seen less often to the rectangular island and add an interesting visual link between the kitchen and living spaces. So that’s the lowdown on islands. They’re functional, a design feature and the variations of style, colours and even shapes are huge. Ideally, your room should be approximately 4m x 4m to comfortably install an island but, if your room isn’t large enough, there are some alternatives. A peninsular gives you almost the same amount of worktop space and seating as an island but, can be designed into a smaller space. A free-standing butcher’s block can be another option for a smaller room and it can be used to prepare and store food and is easily removed if you need to reclaim the space in the centre of you room.